It’s a long way up but the views at the top of Mt Rosea are well worth it. Walk among giant sandstone boulders flanked with native shrubbery, ferns and wildflowers. Follow the yellow arrows as a directional guide. As the track rises, there are fine views from the cliff top. 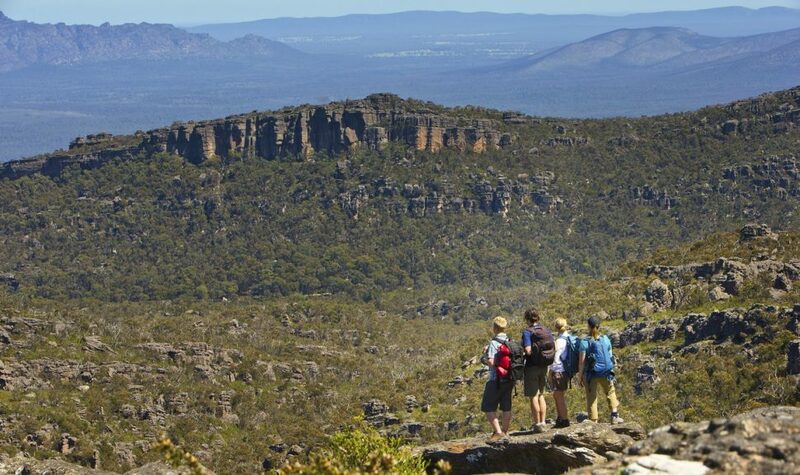 Gaze down the rocky chasm beneath the Gate of the East Wind and take in the 360-degree vista of the Grampians as you reach the top. The best time to experience this trail in Spring or early Summer.